Can we stay in Thailand if we buy property there? Undoubtedly, this is one of the most common questions we get asked. The short answer is no, there’s no given right to stay in Thailand if you purchase a condo here as an overseas buyer. The good news is, staying in the country short-term is relatively easy from almost anywhere in the world. Medium term stayers usually find minimal problems if they abide by the rules. Long-term is where it can get more complex, especially when you want to stay in Thailand on a permanent basis without leaving the country. In this article we will recap on the current main visa rules, as well as highlight some important changes that are happening into 2019 and others that are being considered. As a short-term boost to tourism and the Thai economy in general there has been several changes to the Thailand visa system considered and / or instigated. If you are planning to visit Thailand soon, check with your local consular office if you are eligible for any of the below. Citizens of Brunei, Indonesia and Singapore will be granted unlimited entries at land borders for the purpose of tourism. This is in addition to Malaysian tourists, which were already able to do so. For other nationals, the limit of two land border crossings per year will remain. This change means that the visa fee on arrival (2,000thb approximately $60) will be waived. This will benefit all visits who are eligible by the Thailand Visa On Arrival. This isn’t the first time this fee has been waived, and it has been used successfully in the past as a short-term catalyst to boost tourism. Single entry visas will receive a free upgrade to a double-entry visa. The intention is to encourage travel back to Thailand if tourists want to visit other ASEAN countries on their holidays but use Thailand as a base. We have been told that the exact plans for this are not finalised, so it is worth further checks before you travel. You will see mixed reports on Bangkok Expat Forums and in the news about tourists being refused re-entry but that is set to get easier. 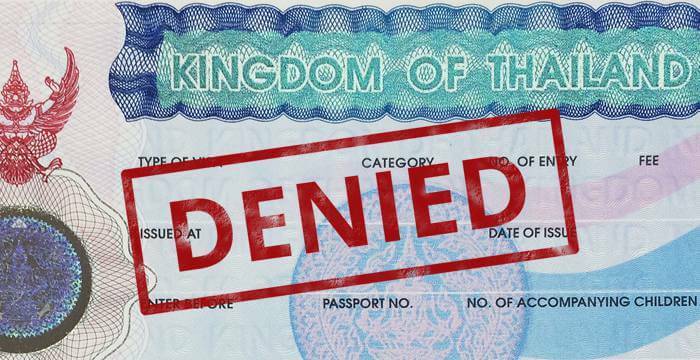 A re-entry permit will allow tourists to re-enter the Kingdom without losing their original entitlement. Before, the original entitlement was lost when leaving Thailand. Why are the above changed being made? Towards the end of 2018 the Tourism Authority of Thailand (TAT) announced a decrease in Chinese visitors in particular by 11.4% in July and August 2018, and a year on year decrease of 14.4% and 19.1% in September and October. These are big numbers, with a reported 9 million Chinese tourists visiting Thailand in 2017 alone. Approximately 30% of all tourists entering the Kingdom are Chinese. This leaves a hole to fill in terms of visitors and revenues. The above changes will hopefully act as a catalyst to boost numbers over what is a typically busy time of year (December, January and February). Below is a list of the main types of visas available in Thailand. It is important to note that you cannot work in Thailand without a valid work permit, regardless of the type of visa you have. Even with a business visa, you will be issued a work permit and be required to renew your visa / report to immigration periodically. The most common type of visa is the Thailand Tourist Visa. This is typically for up to 60 days in Thailand and can be extended up to 30 days by doing a ‘visa run’. This is typically done via Penang, or Kuala Lumpur in Malaysia although other destinations are also popular. As the name suggests, this visa is available to those married to a Thai national. Once you have obtained a non-immigrant visa you can convert it to a Thailand marriage visa. This allows the holder to stay in Thailand for the whole year (renewable) and means there is no requirement for visa runs at any point. You may still have to do some basic reporting to confirm address etc but that is typical of almost every type of Thailand Visa. If you want to do business in Thailand, legally, then you’ll have to apply for a Thailand Business Visa. It can also be referred to as a non-immigrant business visa. This is eligible for 90 days, and at this point you will still have to cross the border and do a visa run. You can get a work permit and usually open a bank account with little issue with this type of visa. There are other eligible categories for Thailand Permanent residency listed below. It is a very broad subject and we recommend sharing your personal circumstances with a trusted lawyer in Thailand. 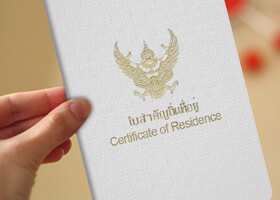 Each case for the Thailand Residency Visa will be dealt with on a case by case basis. You must first contact the Royal Thai Immigration Office. There are restrictions on number of applications per individuals / per country and other such things so if you are considering applying for the permanent residency visa we strongly recommend legal advice and planning as far ahead as possible. With no age restrictions, this is a popular choice, anyone willing to invest 10 million Baht ($280,000 USD) into property, government bonds or an account in a thai bank – or any combination of the three. Holders of an investment visa are not allowed to work or volunteer in Thailand, but will be granted the right to stay as long as rules on reporting and renewing are followed. This card allows overseas Thailand Real Estate Investors to stay in the Kingdom for an extended period of time. The Privileged Entry visa has a validity of five years, as long as it is renewed every 12 months and all other regulations are followed. 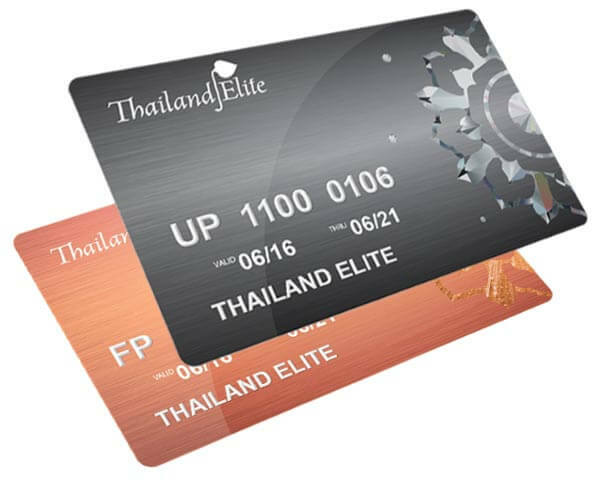 The Elite membership is available by ordering in advance at the Thai Embassy of the country your passport originates from. Alternatively, you can try ordering it at the airport upon arrival. From then on, you can arrange the pick up of the card itself and any required checks at a local Thai immigration office. There are different packages available for this visa, starting at the basic five years for a flat fee of 500,000 Baht ($14,000 USD) up to 2,000,000 Baht ($56,000 USD) for the Elite Ultimate Privilege. This visa option provides relatively easy access to a medium-long term stay in Thailand and you will receive support with visa renewal and other perks. If you are the parent or guardian of a Thai or foreign child who is studying in Thailand and less than 20 years of age you are eligible to apply for a Thailand Guardian Visa , providing you meet the additional criteria listed below. There is a wide variety of private schools in Thailand, especially in Bangkok but also in Pattaya and Phuket. Fees can be expensive, but facilities are often excellent with boarding also available at certain school sites. You are not permitted to work with this visa, like most Thai visas. However, this visa can suit individuals and families that work at a variety of locations or those running a business based elsewhere. For a list of companies that may be able to assist with your Thailand Visa click here. Please note, we are not affiliated with any of these companies in any way.